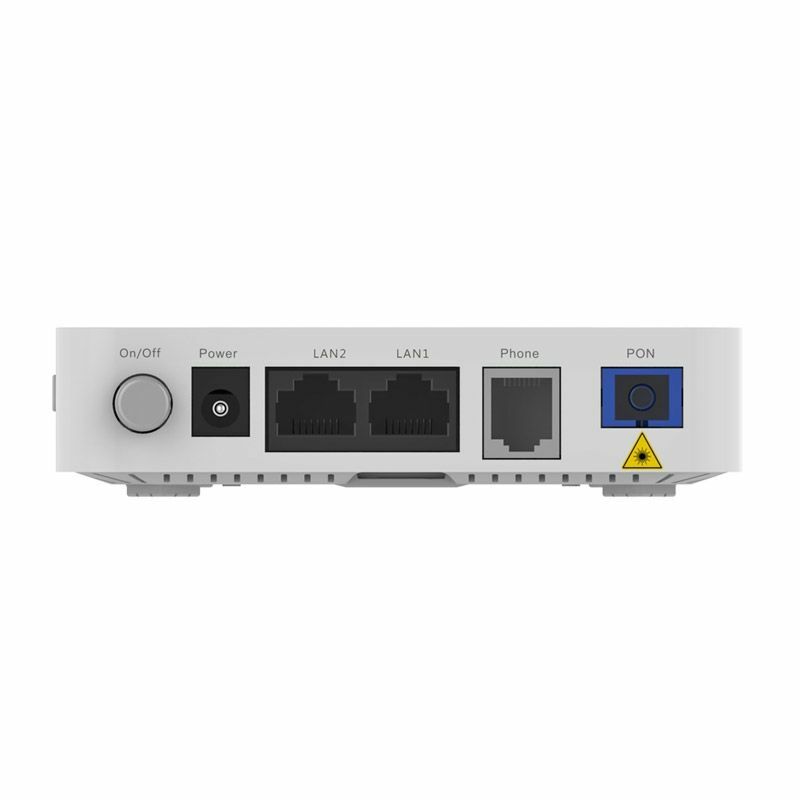 ONU GPON 1GE + 1FE + 1FXS (POTS). A ONU (Optical Network Unit) é o equipamento instalado no usuário que recebe o sinal transmitido pela OLT. 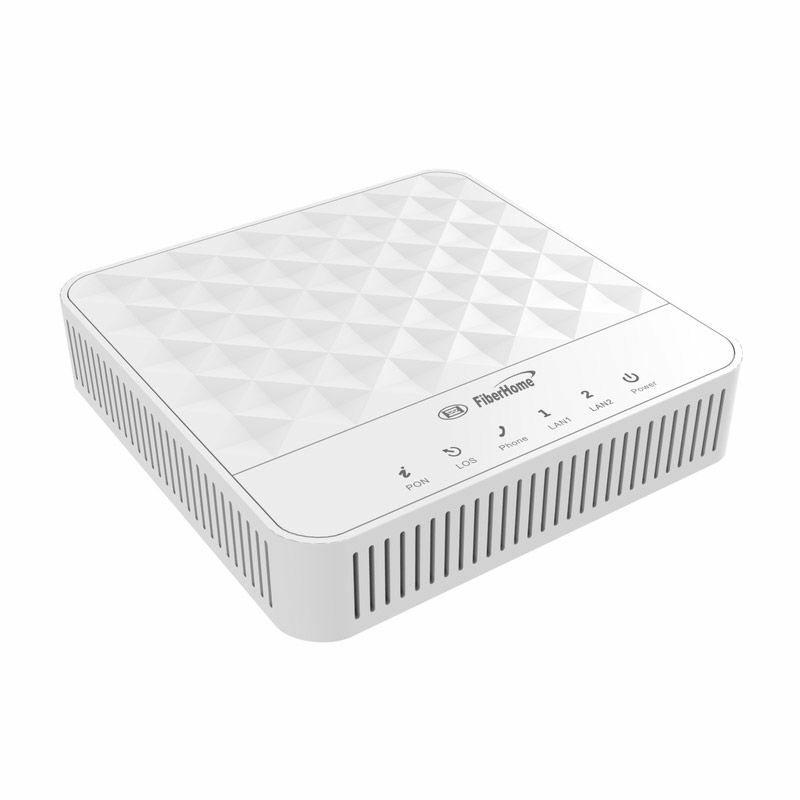 O modelo AN5506-02-B possui uma porta Giga, uma porta Fast Ethernet e uma porta FXS (POTS) design discreto e é de fácil configuração atendendo todas as necessidades de serviços dos usuários finais. Ele oferece aos usuários serviços de comunicação e entretenimento na forma de dados, voz, vídeo, entre outras características, para satisfazer a procura de acesso integrada na sua casa ou empresa. Wire-speed forwarding: Supports Layer 2 / Layer 3 wire-speed forwarding. IP: Supports the IPv4/v6 dual stack. Supports the IEEE 802.1Q VLAN standard. Supports joining the 802.1Q VLAN in the / untag mode. Supports up to 4095 VLANs. Supports the IGMP Snooping protocol. Supports the packet filtering, MAC address filtering and URL filtering. Supports protection against illegal mess (DoS, ARP) attacks; supports suppression broadcast storms. Supports obtaining the user IP address the DHCP mode; supports reporting physical location of the Ethernet interface using DHCP Option82. Supports obtaining the user IP address the PPPoE mode; supports the PPPoE+ function, used to identify users accurate Supports encryption of downlink data us the AES-128 algorithm. Supports the ACL function to match traffic based on the ACL rules. Supports global configuration of queue priority and flexible mapping of 802.1p values in packets. queue, so as to guarantee the service quality of high-QoS services such as voice and video in the multi-service environment. Provides one GPON interface (SC/UPC or SC/APC interface), supporting transmission distance up to 20 km and complying with the ITU-T G.984 standard. Supports Class B+, with receiving sensitivity less than -29 dBm. Phone interface: Provides one phone interface (RJ-11 interface). negotiation. The maximum transmission distance is 100 m.